This entry was posted in animals, birds, cats and tagged animals, blue jays, bobcats, western scrub-jays. Bookmark the permalink. No one can turn a brief foray into your backyard into a meditation on change, life, and death the way you can, Michael. I’m envious, I could never see nature so up close let alone see that much action. Amazing how we carry on our lives and nature just comes along isn’t it? 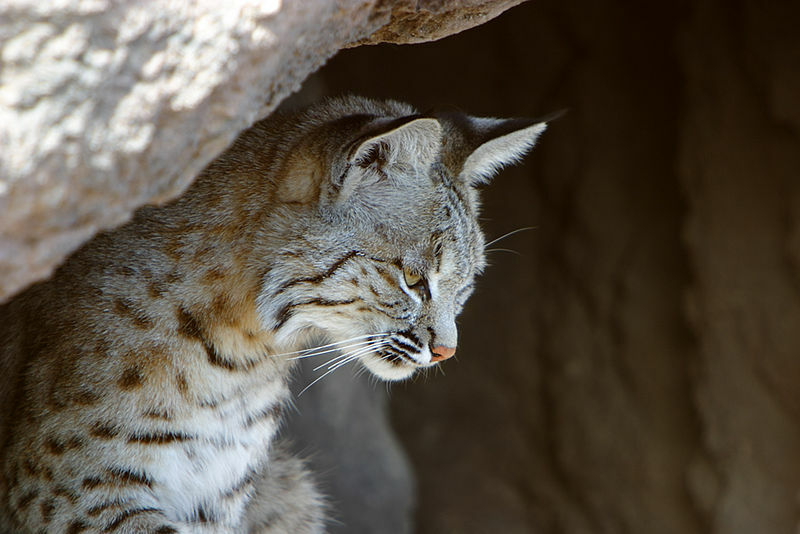 We have bobcats in our backyard on an irregular basis–about 3-4 times a year. I’m in Southern CA–Laguna Hills. We’re off a horse trail, but in the midst of a housing development. They are amazing creatures. Large cat sized with an intensity and energy I don’t often see in a cat. Beautiful. In just those few paragraphs, you took me on that emotional roller coaster ride with you. You are truly an amazing writer! Bobcats are beautiful creatures. Living in Arizona, I crossed the path of interesting and fun wildlife. In Colorado, it is the same thing. Have the basic coyotes, rabbits, and such, but one night as I was coming home, I turned into one end of my neighborhood just in time to see a rather large mule deer cross the street in front of me. I followed behind him for a while and just watched in awe of the beauty of that creature. I also love heading up into the Rocky Mountains to go elk watching. So much beauty around us that we sometimes forget to pay attention to. Thanks for sharing, Mike! Thanks for the comments, Lisa. Sounds like you live and have lived in some great places to see wildlife. I think part of it is just tuning in and not being in tunnel vision with our own crap. The Rocky Mountains I bet are breathtaking. Man, if a jay or any bird of prey is attacking something, he has unspoken Jay/Prey Rights. I have no business interfering with that stuff. Every single time I have attempted to interfere, I have regretted it. Let’s keep our human rights of equality and mercy limited to humans. We should treat animals with kindness and respect, knowing that the wild kingdom has its own system. 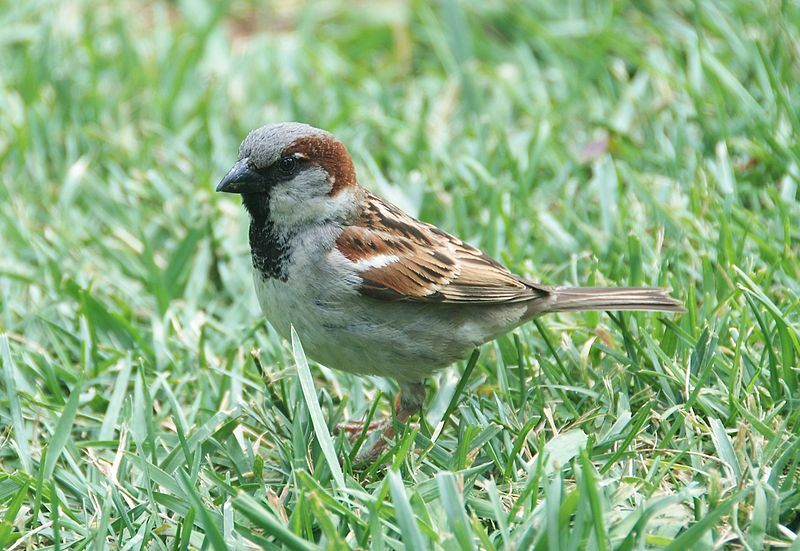 What we perceive as “evil” or “selfish” in a bird is really us tacking on a moral problem where there is none. Yes, I agree, and I did not interfere. I did not ascribe any qualities of “evilness” or “selfishness” to the blue jay, either. I was just writing about my own human reaction in confronting an act that I did not really understand in the animal world–and I realize that it’s not my job to understand, and that’s okay. Thanks for reading and the comment. I hand feed up to 30 Jay Spirits several times per day at my home in Southern Oregon. 75% of the Jays I feed are Western Scrub Jays. Did you know that they are considered at the upper-levels of intelligence in comparison with/to non-human animals? Their language is highly complex, they have unbelievably sharp reasoning and memory capabilities and are believed to empathize. Western Scrub Jays will actually hold a funeral of sorts, over the bodies of those past on to the ‘nother places. I’ve seen this personally. When the body of a Jay is found by another, the living Jay begins to screech hysterically. The Jays from nearby will fly to the spot, congregate and wail and mourn for up to 30 minutes. Then, as a group they will stop. All will become quiet and the Jays disperse and continue on with life at hand. There are many lessons to be learned in studying the behavior of wildlife. The Scrub Jays teach me the importance of honoring that which is now past as well as the importance of focusing on the now and moving forward. 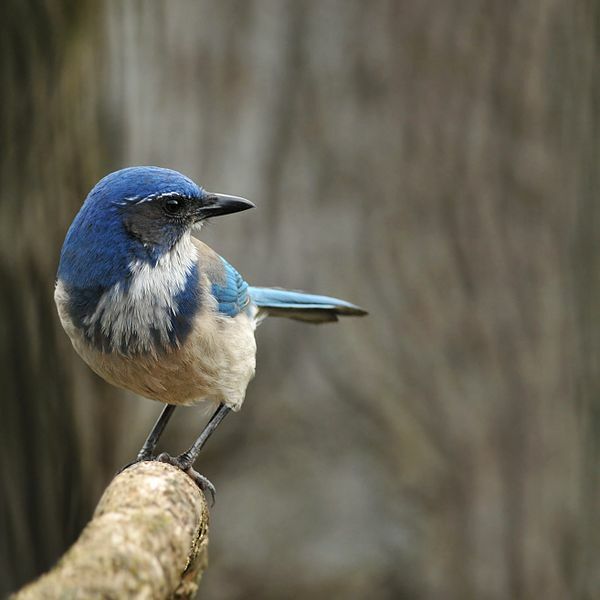 Note: Scientists who have studied Scrub Jay funerals, speculate that the birds only do this as a means to warn others of a potential predator nearby, but I have studied their behavior closely. At least once per week, while I’m feeding them, one of the guard-Jays makes a distinct screech. All of the Jays immediately fall silent and vanish into the bushes and shrubs. I immediately know that when I look up, I will see a hawk circling above. This is true 100% of the time. But the funeral behaviors never involve a hawk. The jays will hold the funeral, even if the dead jay died of natural causes. So much for science as the end-all to knowledge. Thank you for sharing all that. That is great information and wisdom. And you hand feed them–wow. I definitely have a new appreciation for them. Generally one thing I noticed is that the Jays take precedence over all other birds–all the others will bow away if they’re visiting my feeders. Except for the hawks–which I’ve seen a few times myself. 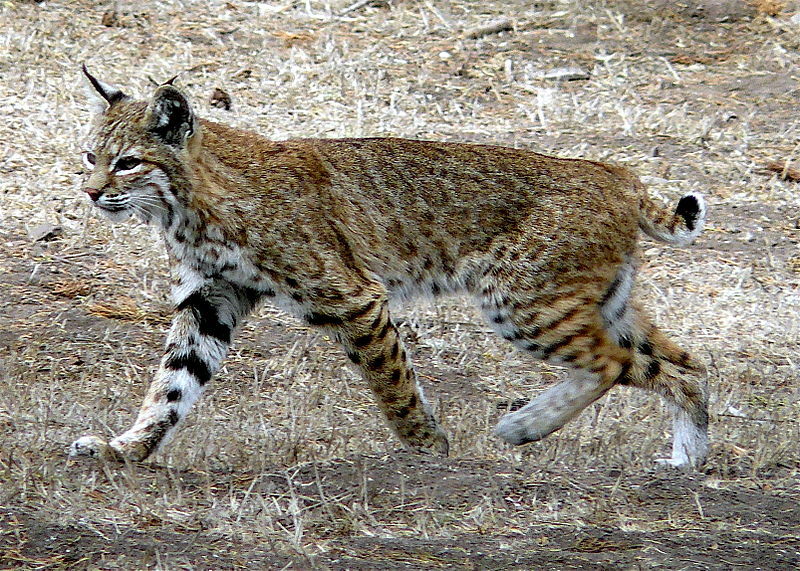 And the bobcat! Anyway, thanks for the insight. Michael ~ I’ve actually seen them attack a domesticated cat who was venturing too close to their nest. If you decide to try to hand-feed them it takes a bit of an investment in time. I don’t use bird feeders. They only get fed when I come out to feed them. The minute I walk outside the special Jay-call rings out and the Jays start flying in from all around. They even know my car…when I pull into our street, they will begin to fly by my car window to the feeding site and as I open the car door, a number of them will sweep inches from my head, chattering away excitedly.